Aging does not discriminate. As we grow older, changes to our skin and face occurs naturally. Skin becomes slack due to the loss of elastic tissue resulting in saggy skin. Skin becomes more transparent due to thinning of the dermis, which shows the underlying blood vessels (which give rise to appearance of dark eye rings under the eyes). The face loses fats resulting in loss of support for the overlying skin. Fat lost also results in the sunken look around the eyes and cheeks making the person look haggard. To reverse the signs of aging, some people have opted to undergo surgical face-lifts which involves removing excess facial skin through cutting and stitching. However, going under the knife is not the only way to look young. 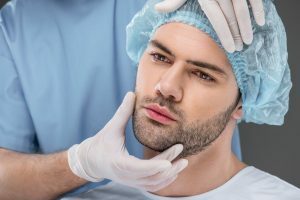 Over the years, non-surgical face-lifts and other non and minimally invasive procedures have gained popularity because of the minimal downtime they require. Such procedures are also deemed to be safer. The surge in popularity of such minimally invasive procedures are partly attributed to their reversible nature. Society’s views toward such procedures have evolved in some countries to become an integral part of personal grooming akin to going for a haircut. Procedures can be carried out quickly with little to no downtime and causing little to no pain. Side effects are also significantly reduced compared to traditional surgical approach. Non-surgical face-lifts minimise risks and complications associated with surgeries which include bruising, scarring and nerve injury. With the myriad technologies and terminologies in today’s aesthetics market, we had a chat with Dr. Ivan Tan, Medical Director of Nu.Reflections Medical Aesthetics and had some of our doubts lifted (pun intended) and questions answered. Q: What are the differences between the different non-surgical facelift options available in the market? Skin tightening can be achieved through Energy devices that stimulate the skin and tissue to contract. Such devices include lasers, radio frequency (RF) devices and high intensity focused ultrasound (HIFU) devices. Mechanical support for the skin is usually attained by placing threads within or underneath the skin to form a scaffolding. Such threads lend tensile strength to the skin while stimulating the skin to produce more elastin and collagen. Some longer barbed threads (which anchor to a higher fixed point) literally pull up the skin and tissue and hold them in place. Our face consists of many muscles; some pulls the face up like lifting our brow and when smiling while others pull the face down like when we are frowning. By relaxing the muscles (with botulinum toxin) that pull down the face, we are able to make the face look more lifted. As we lose volume in our face, we deflate and our skin will droop (just like a deflated beach ball). By replacing the volume (with hyaluronic acid fillers) in our face that is lost, we restore the fullness to our face and consequently, the face again looked rejuvenated and more lifted. Q: How would we know which option is most suitable for us? The basis of assessing the suitability of a procedure is to understand the root cause of the conditions which led to the sagging of the face. For example, an aged appearance presented as a bulky face with sagging skin should be treated with long barbed threads to pull up the tissue as well as using HIFU treatment to tighten the skin and tissue. HIFU has the added benefit of reducing the facial bulk by decreasing the fats underneath the skin. On the other hand, volume replacement would help a skinny face with sagging skin rather than the HIFU which may make the face more sunken. If there are overactive muscles on the face that pulls the face downward excessively, we would relax those muscles with botulinum toxin. Q: What is a piece of advice you would give to somebody considering a non-surgical facelift procedure? It is recommended to consult a trusted doctor to find out the most suitable course of treatment for you as medical aesthetic procedures are not one-size-fits-all. A treatment which works well for your friend does not necessarily work for you and following trends isn’t necessarily helpful. Looking for a non-surgical facelift? Visit https://nu-reflections.com/face-and-body-clinic/treatments/ for a comprehensive list of procedures available at Nu.Reflections Medical Aesthetics. Call +65-6235-5333 or fill in your details below to book a consultation with Dr Ivan Tan to asses your suitability today.